GRAMMY Award-winning producer/DJ CID (born Carlos Cid), is slated to play his biggest hometown set yet. On Saturday, April 13, the electronic dance music (EDM) mega-talent takes to the Kings Hall at Avant Gardner. 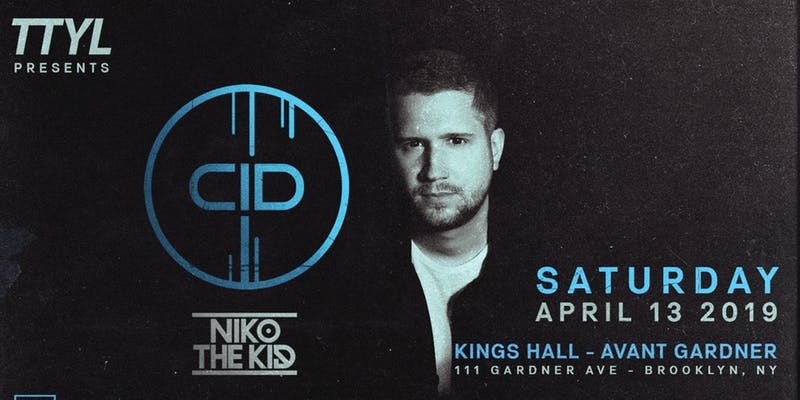 Brought to you by TTYL Events, CID’s anticipated Kings Hall debut includes direct support from Niko The Kid, up & coming local DJ’s Chris Kalaylee, Jay Roman, Kitty Pack & RS|AM. Doors open @ 10pm. 19+ to Enter. Limited tickets for CID at Kings Hall, Avant Gardner New York are available HERE. TTYL Events are emerging event producers who aim to showcase top-tier an eclectic array of electronic talent and fresh up-and-coming acts. TTYL have already started organizing events in New York, Miami, New Jersey Shore, and Portland, among other locations. For more information visit ttylevents.com.